February 14, 1990: “Your lab work and blood test came back benign.” I was so relieved and happy. My boss at the Beauty Salon organized my birthday party for me that weekend. My two children were 3 and 1 ½ years old. My long awaited childhood dream career as a Licensed Cosmetologist just came true. A successful upcountry salon offered me a position. When Saturday arrived, my doctor called in the morning and asked, “What are you and your husband doing? I would like to come over and talk to you about your test.” All of a sudden my heart slumps to a low point and I know then that there is something seriously wrong, more than I could ever imagine. My diagnosis on my birthday was a stage 4 malignant Nasopharyngeal carcinoma. That is when my cancer journey began. 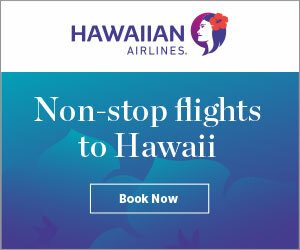 It was a very rare type of cancer during the 90’s on Maui. I came across a world renowned doctor who specializes in Nasopharyngeal Carcinoma, Dr. Ho in Hong Kong. Chemotherapy took place right away and was followed by two more months of radiation. During the treatment, my entire family went with me to Hong Kong. My two children knew I was in serious condition and they made constant visits to my room to check on me to make sure I was still alive. Here I am with my two beautiful children and a wonderful life back home on Maui. I was an athlete who is active in long distance running. I have a healthy life style. My family and friends were in shock. I was too. I had a hard time believing the diagnosis. I was a victim. I questioned myself was it something I had done to deserve this? The questioning mind took hold of me. At first, my fear and sorrow took a lot of my hope and dreams from me. I remember lying on the table at the radiation department on my first chemotherapy treatment. I can still recall the smells. I felt like a piece of meat being slaughtered. I can still hear the sound of the machine gliding over me. That was the most challenging issue I dealt with. I wish I had a Cancer Patient Navigator to share this experience during my treatments. The cancer is cured if it does not come back within 10 years. I could not talk about the cancer treatment to anyone. I did not want to trigger the fear in me to go through that again. The significant fact in being a cancer survivor was the fear of its return. The most magnificent tool that we could be taught is not to give into fear, stay positive, and truly believe that I am cancer free and healthy. It is a mantra one must hold in faith and belief. I gained confidence in dealing with my treatment for the months to follow. I did not take much medicine for the pain or nausea. Instead, I was on a healthy diet of fruits, soups and Chinese herbs. After my recovery, I returned to the beauty Industry and gifted many haircuts to cancer patients and survivors. Then my spiritual path led me to India for three years. There I learned about the human experiences in life and challenges. Yoga / meditation became my new lifestyle to restore my body balance and centering my energy. The breath work in my practice takes me back to awareness of my body, mind and spirit. I stopped the inquiry of how certain things should be in my life. Instead, I am so grateful to be alive and well. Taking walks on the beach, smelling the ocean, laughing with my children, and working the soil in my garden. I learned not to be stressed and breathe each breath with gratitude that I am given another day. Asking myself to be thankful for all that I am. 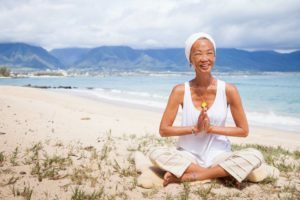 In 1999, nine years after the last cancer treatment, I launched my Yoga Day Spa on Maui called Beyond Heaven, a place for all givers to receive bliss, movement and yoga. My life calling is to bring forth Yoga to every day people, everywhere. No matter where they are in life. The 11 Minute Yoga sets will result in feeling good and looking better. My program is a wellness practice of focusing on the breath and movement to insure a proper and safe alignment for the mind, body, and soul in everyday life. I encourage my students to discover their natural strengths, beauty, and wisdom and to celebrate every moment from the heart. 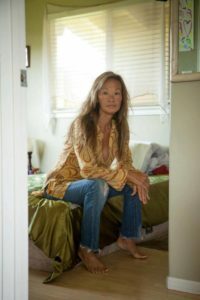 I work with my clients to develop a personalized practice to address specific needs for healing, recovering, and rediscovering their vibrant life. 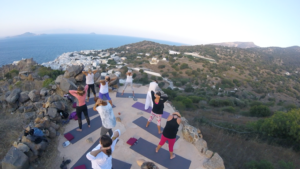 Lead yoga classes for all skill levels, from beginning to advanced levels. Teach student correct postures to ensure maximum benefit and health. Work with students to develop customized programs that increase wellbeing. Give students in-depth understanding of breathing techniques. Pay attention to the needs of each student throughout class. ‘Look Good Feel Better Program ‘Global Sunrise. 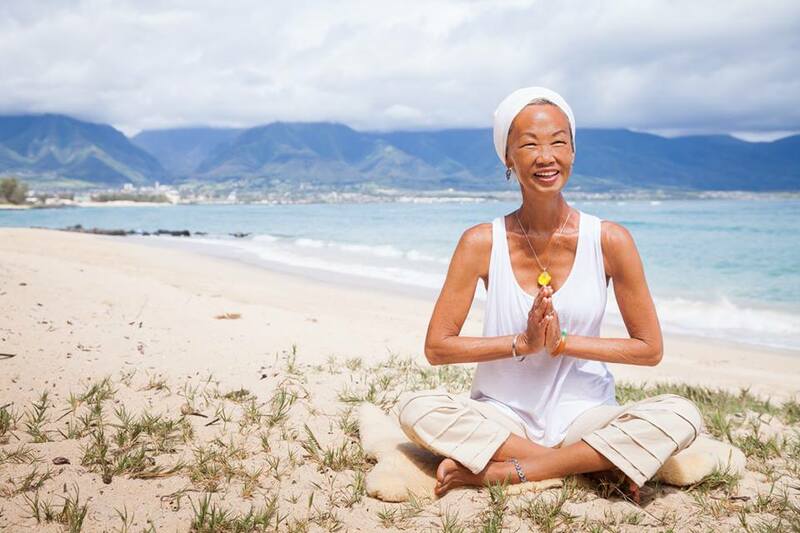 Today at age 62, Ruby is a three-time cancer survivor since 1990, Mother and grandmother of two, Yoga Wellness Coach, Certified Yoga Instructor; Prana Yoga Teacher College, Vancouver Canada, Certified Oncology Cancer Navigator, Certified LGFB Instructor; and Arc of Maui. 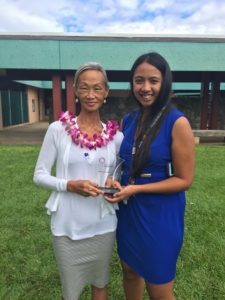 She is a 30 year Maui resident known for her inspiring and supportive teaching style. 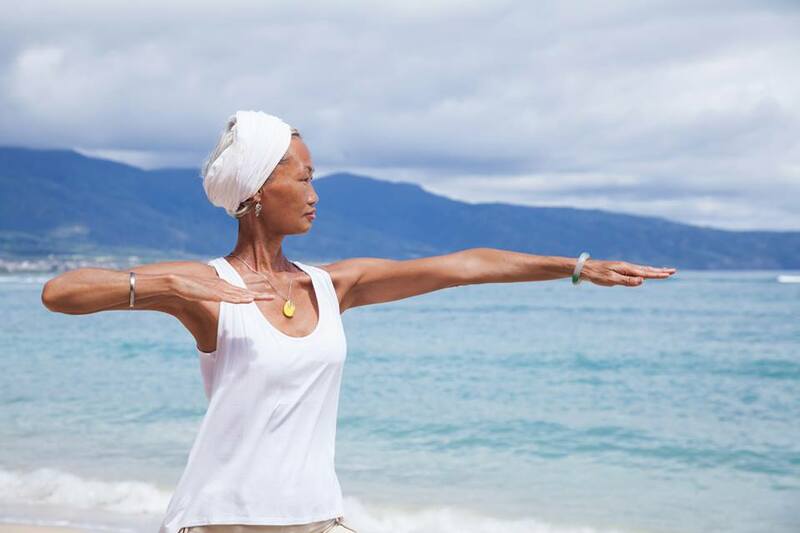 Her classes balance a sense of play and adventure with a mindful awareness of precise alignment. 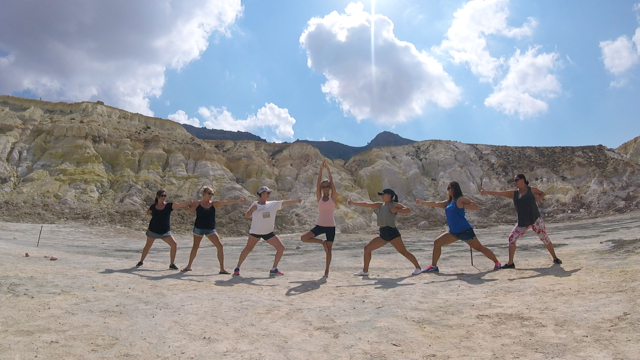 Students learn how to practice their yoga from the inside out, so that they are empowering their deepest resources. 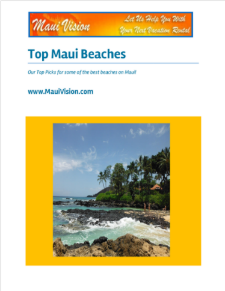 Volunteer Instructor and Workshop Leader, Maui Family and Child Services, Maui, Hawaii Fundraiser, Women Helping Women, Maui, Hawaii, Hospice Maui, American Lung Association, American Cancer Society, as well as Maui Memorial Hospital’s Oncology programs both for nurses, Cancer patients, and caregivers. Ruby recently completed her training in ‘Ho’okele I key Ola -Cancer Patient Navigation program. Finally, completing Ruby’s life goals is to teach clearly and confidently with the hope to inspire people from all walks of life to live life fully to pursue their highest potential. You may contact Ruby Wong my talented teacher and healer direct. 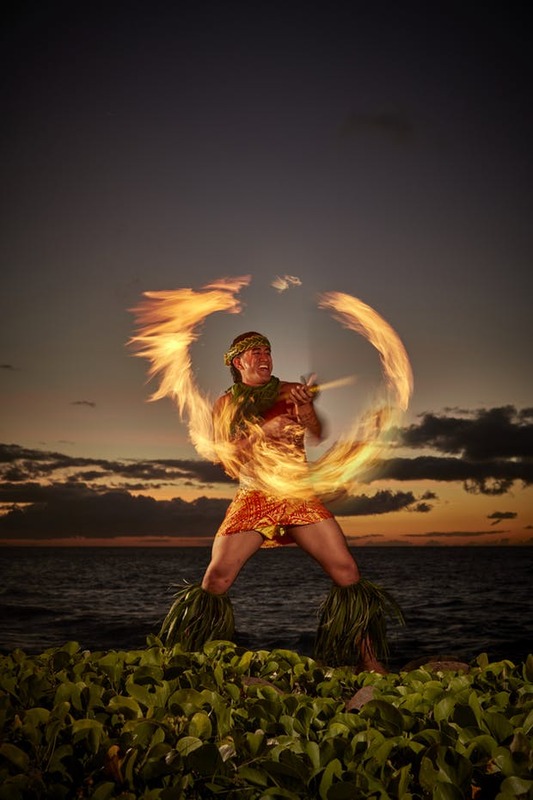 Visit her on Maui or attend one of her workshops abroad!